Mugen has released more details on its tuned Honda CR-Z project. This is the same tuned project that was first announced last month, but came with few details and specifics. Now, we have the latest details on the modifications, which include the addition of a supercharger for more horsepower. The result is a power increase from 112- to 184-horsepower from the stock 1.5-liter four-cylinder i-VTEX engine. Torque has also seen an increase from 107 to 123 ft-lbs. Mugen says that the Integrated Motor Assist electric motor has remained untouched. Mugen has also tampered with the CR-Z&apos;s handling qualities by enhancing them with 5-step adjustable dampers, an increase in track width and a weight reduction. 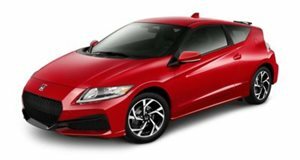 Unfortunately, this CR-Z will remain only as a prototype with no plans for production.